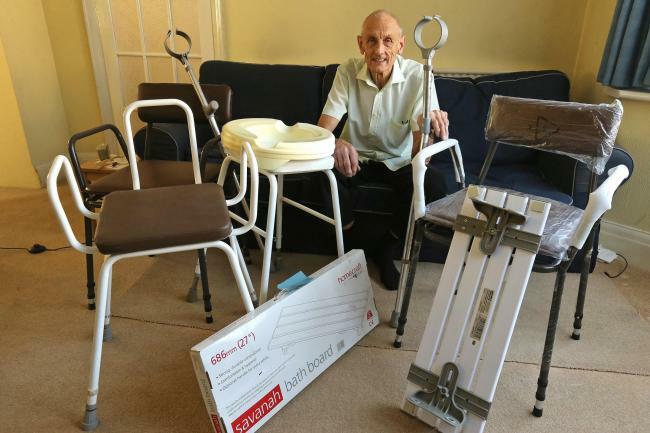 A pensioner is finally getting rid of mobility equipment cluttering his house – a year after his wife stopped needing it. After hearing about Mr Collins’ predicament in the East London & West Essex Guardian, Medequip has offered to step in and save the day. Operations manager at our Woodford Green depot Yasmeen Mian said: Mr Collins is only a five or ten-minute journey away from us but does not live in the borough that Medequip serve. However after someone at our head office flagged his case up to us we really felt for him - so as a goodwill gesture we would be more than happy to collect and recycle his equipment.